Yesterday was a strange day. Ominously perhaps, we returned to the field to be greeted by snowfall – in April! The first new born infant of the Tourist group has arrived! We found Olive holding her baby, protecting it from the cold and snow. She probably gave birth during the night, as the umbilical cord was still attached to the new born and she still had blood on her hands and swelling. I would love to say the newborn infant is very cute, but with a fragile appearance and slime-covered body it was anything but. Nevertheless, it is the first time I have ever seen something like this in real life and it was a special sight. Olive holding her newborn infant. 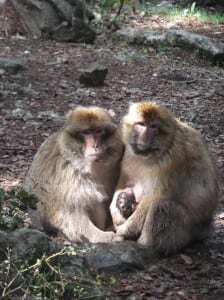 Male Barbary macaques use infants as a social buffer and will embrace them together during social interactions. Kitkat, the biggest male of our group, was already trying his luck at taking the newborn, although Olive was not ready to let it go just yet. 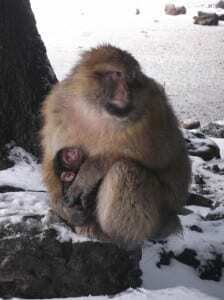 We hope it will survive to adulthood despite being born in difficult weather conditions. Kitkat and Olive with the newborn. However the joy of welcoming a new member of the group was quickly overshadowed by the death of another. Milkiway, the alpha male, was found dead under a tree a few hours later. This was a very sad moment for all of us. Even having worked with these monkeys for only three months, you quickly learn the personalities of each member and feel some sort of personal attachment. Milkiway was a very affiliative alpha male. 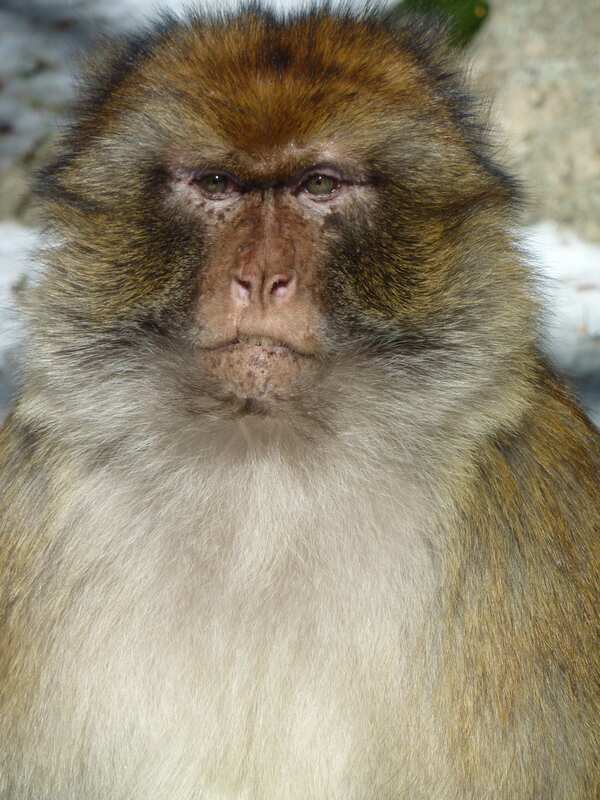 He had good relations with the other males and kept rivalries between subordinates in check. It’s funny how you never realise quite how much you will miss something until it is gone. Milkiway chilling on a tree. From a scientific point of view it now becomes very interesting to see how the group dynamics are going to change. Who will be the new alpha male? Is the group going to split? For our project itself the most important issue is to work out the cause of death. Since there were no visible physical injuries the cause of death is probably internal, possibly old age or illness. If it is illness, is it natural or human transmitted? These are important questions to ask and the answers will hopefully better equip us to conserve and protect this species. Many thanks for your interest in the website, it is always appreciated to get nice comments. We have the cause of death that is unfortunately due to food poisoning related to feeding interactions with tourists at the site. 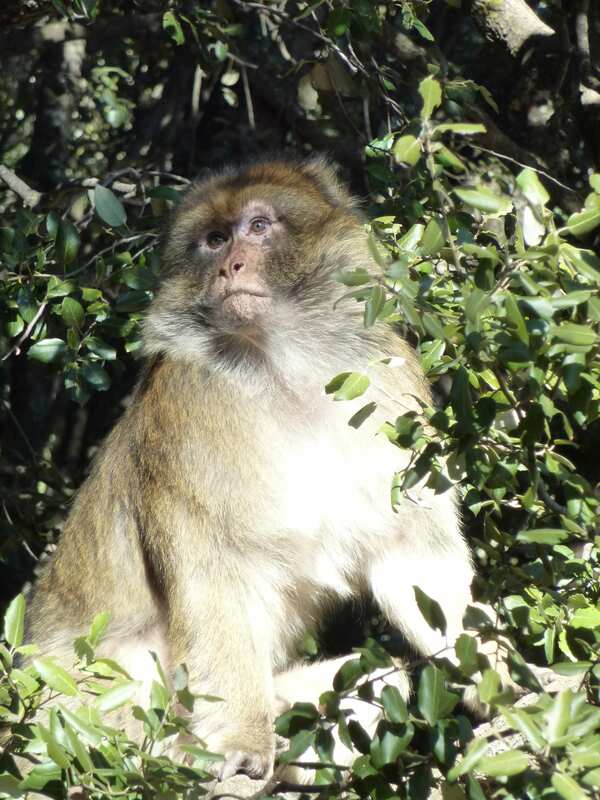 This group is studied since 2010, when I started my Master project, so we do not have the exact age of the adults but it is really interesting to know what happens in the other sites where Barbary macaques live. Very interesting article and website. I completed a masters in Research in Primatology at Roehampton several years ago.